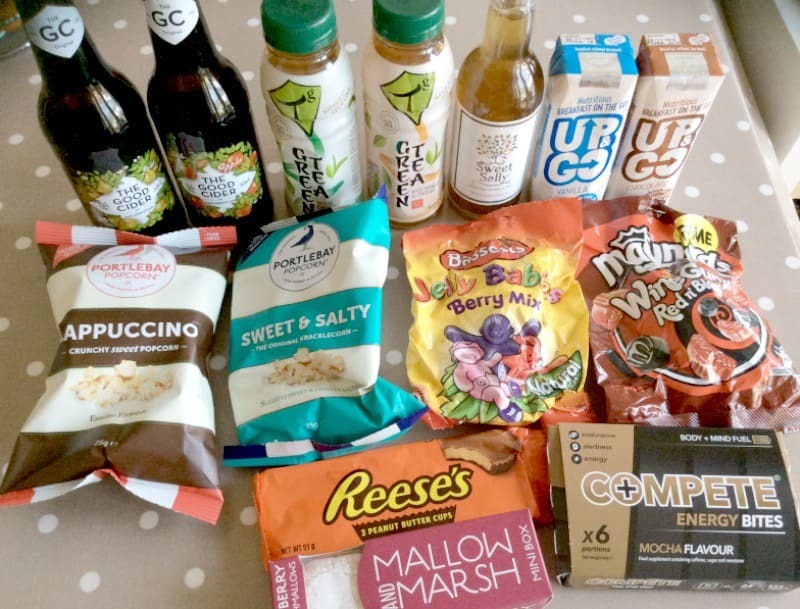 As the year comes to a close, it is time for a roundup of products I have been sent to use and try recently and which are new in my kitchen. 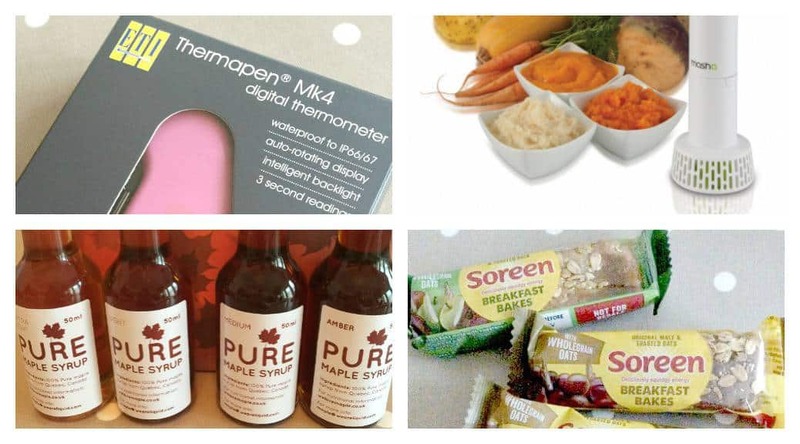 I have tried out some new kitchen gadgets, as well as food products. Thanks to all the brands who sent me products to try out. What a handy little tool this is! A digital thermometer for use in the kitchen, I have used my Thermapen when making lots of different recipes, from tempering chocolate, to jam making, in baking for checking temperature of bavarois and then ensuring it had cooled sufficiently to add jelly on top for a Charlotte Russe, when defrosting and reheating frozen leftovers and for checking the temperature of roast meats cooked in the slow cooker. The display automatically turns so that whichever way you hold it you can read the display, and as soon as you fold away the temperature probe the device switches off. Easy to clean and small enough to pop in a drawer, I think the Superfast Thermapen 4 is an essential tool for the kitchen. Made by ETI Ltd and available from www.thermapen.co.uk. If you want to make the smoothest creamiest mash, you need one of these. Simply boil your potatoes and then add your desired butter/milk/seasoning etc then use the Masha to achieve the best mashed potato in seconds. I tried this out and thought it made the great mash, it was so smooth and creamy and my family loved it far more than my usual hand-mashed attempts. You can also use this nifty gadget to whip cream or meringue much quicker and easier than by hand, and much more. Made by the a range and available from www.thearange.co.uk. Easy to transport and great for a breakfast on the run. 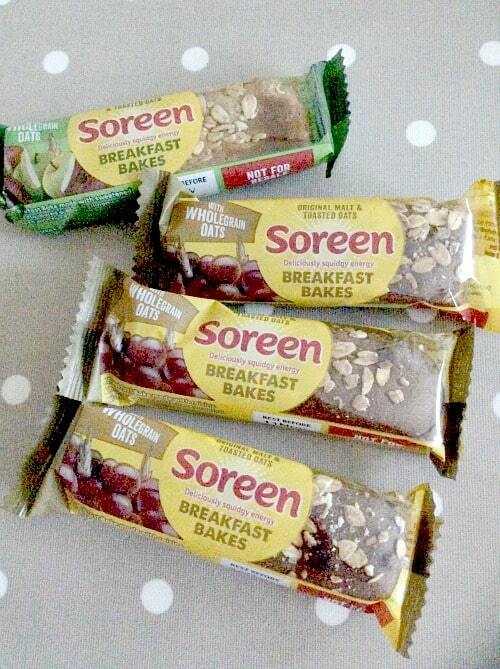 I am a big fan of the traditional Soreen malt loaf and was looking forward to trying out the new Soreen breakfast bake bars. I received two different flavours to try, original malt, and apple and cinnamon. The original malt flavour is just like the traditional malt loaf which I enjoy, and I thought the apple and cinnamon was very tasty as well. The bars have toasted oats on top of them which are of course an excellent breakfast food and add slow-release energy. I would buy Soreen breakfast bakes again for my own breakfast and also as a snack for my children who enjoyed these as well. Pure maple syrup from Canada has such a great reputation, I was lookingg forward to trying out the samples sent to me by the Federation of Quebec Maple Syrup Producers. 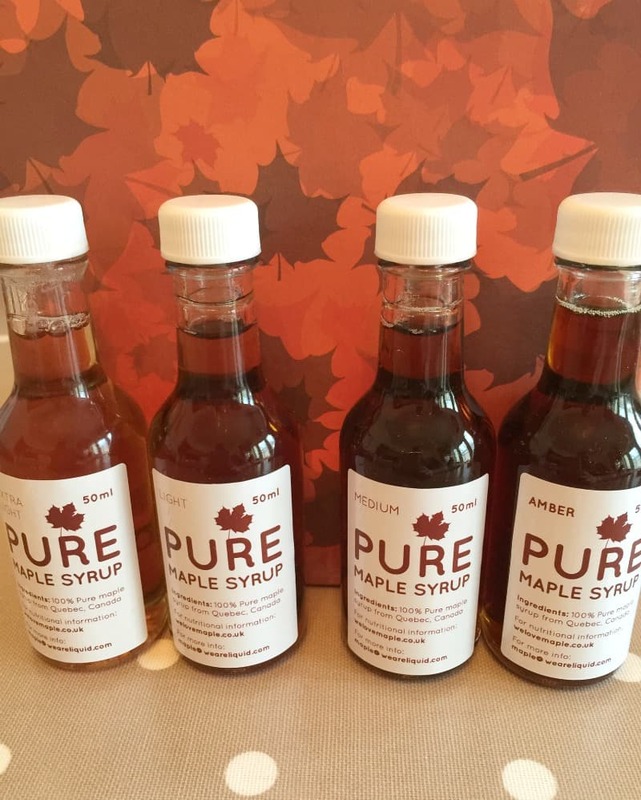 The pack I received contained four different strengths of pure maple syrup, straight from the maple tree – extra light, light, medium and amber. I first tried the amber maple syrup to glaze a gammon joint. I slow cooked the gammon then scored the fat and poured around 50 ml of the amber maple syrup on top, and cooked in a hot oven. It was delicious and such a simple way to add flavour. I am also looking forward to trying the other strengths of maple syrup on porridge and in baking and cooking. You can find lots of recipe ideas at www.welovemaple.co.uk. 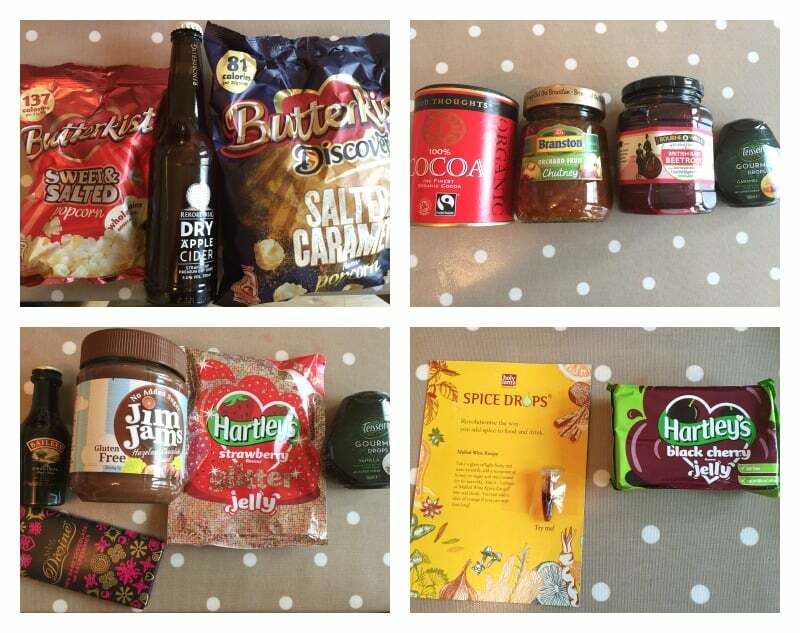 With my children going back to school and starting pre-school in September, it has taken me a while to get around to opening and trying out the all items in my Degustaboxes! So I have three Degustaboxes to cover here, from the past three months. Each contains a wide range of items and as you will see the boxes are very different from one month to the next. This was a box full of sweets and lots of drinks to try out! Portlebay popcorn – cappucino and sweet and salty – we loved the sweet and salty flavour but passed on the cappuccino. TG Green Tea – refreshing and light in taste, I enjoyed this. 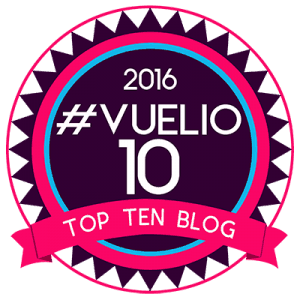 Mallow and Marsh raspberry marshmallows – absolutely delicious! Maynards red and black wine gums – an old favourite, great to have my favourite colours in a pack of their own. Bassetts Jelly Babies – Berry Mix – just as nice as Jelly Babies always are. Up & Go Breakfast Drinks – not my thing, we haven’t tried these. Reese’s Peanut Butter Cups – another favourite from the USA. Sweet Sally Spiced Tea – it sounds great but I haven’t opened it yet. Compete Energy Bites – full of caffeine, not for me as I am sensitive to caffeine. The Good Cider of San Sebastian – very tasty, in apple and pear flavours. 9Bar Original Carob Hit – going in my bag for my next trip to the gym. Chip Strips – great for snacking. Liberation salted cashews and peanuts – these were very tasty as a Christmas nibble. Kabuto Noodles – these taste good and are very convenient for a quick work lunch. Geeta’s korma curry paste and lime and chilli chutney – I’m saving these for our next curry night at home, they look full of flavour. Cirio chopped tomatoes and passata – great for that authentic Italian flavour to your bolognese. Lorina coconut and lime drink – I found this quite refreshing. Nudie Snacks toasted coconut chips – I’m not a great fan of big chunks of coconut but these tasted nice. The Snack Organisation freeze-dried apricot – useful for baking or for children to snack on. The Snack Organisation lightly salted rice crackers – tasty as an evening snack. Rekorderlig Dry Apple Cider – not yet tried. Food Thoughts Cocoa Powder – I have tried this organic Fairtrade cocoa powder previously and like it a lot. Branston Orchard Fruit Chutney – great with cheese and crackers over Christmas. Bourne and Wallis pickled beetroot – also good with cheese. Teisseire gourmet drops – I haven’t tried these yet but this French brand is familiar to me from living in France. Mini Baileys – a firm favourite with me. Divine dark chocolate and raspberry bar – great flavour. Jim Jams gluten free hazelnut chocolate spread – a good alternative to Nutella, this was delicious as a cake filling. 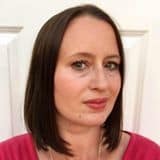 Hartley’s jellies – the black cherry jelly is nice, I have used it in a charlotte russe before, we haven’t tried the glitter jelly yet but I am saving it for the children to have. Holy Lama mulled wine spice drops – looking forward to trying these. Ryvita Green and Black Olive crackers – I liked these with cream cheese. Ryvita Thins – tasty with dips like salsa and soured cream and chives. 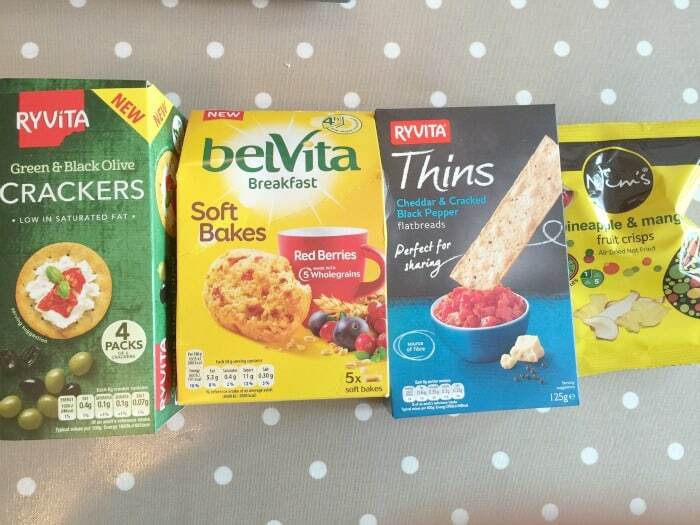 Belvita breakfast soft bakes – we haven’t tried these yet but they look useful for breakfast on the run. Nim’s pineapple and mango fruit crisps – my children liked these for morning snack. Disclosure: Thanks to ETI Ltd, The a range, Soreen, the Federation of Quebec Maple Syrup Producers and Degustabox for the samples. I was sent these products free of charge for the purposes of a review. All views are my own. 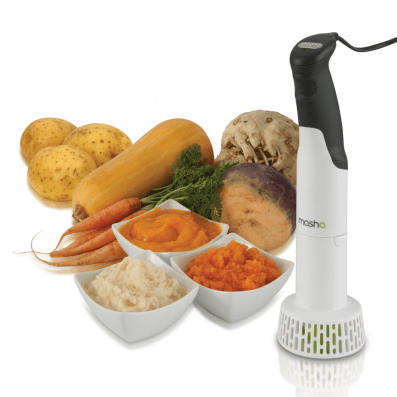 That masha would have come in handy last night….. we served up a root veg mash alongside dinner. Sounds like it would have made light work of it! I’m also tempted by that thermapen. 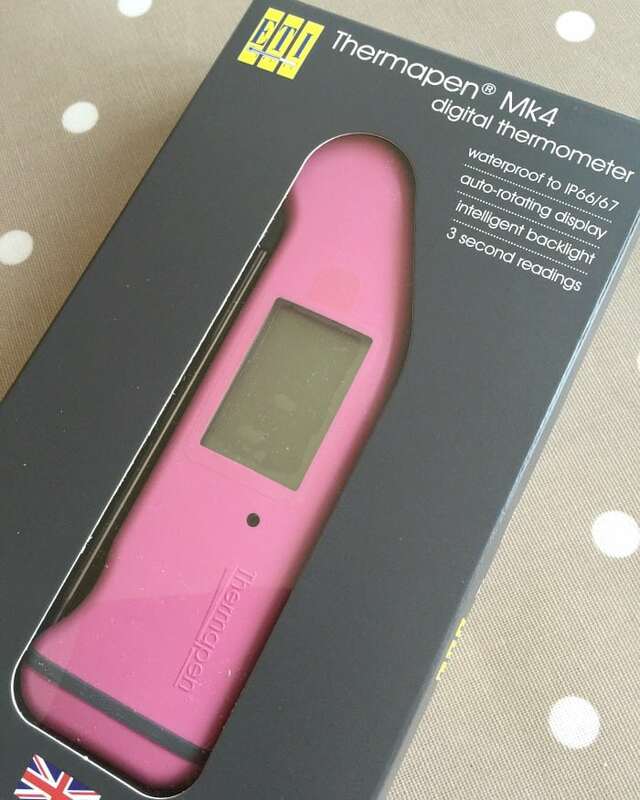 My previous digital thermometer was very flimsy and broke after just 2 uses! Great reviews. I’m glad you have a Thermapen, I am a huge fan:-) Love the look of that Canadian Maple Syrup too! They are so handy aren’t they! The maple syrup is great, look forward to trying all the grades.